Old, naturally aged, sun dried driftwood plank washed in from the sea, at such a high resolution that you can see the sand grains wedged into the split wood. 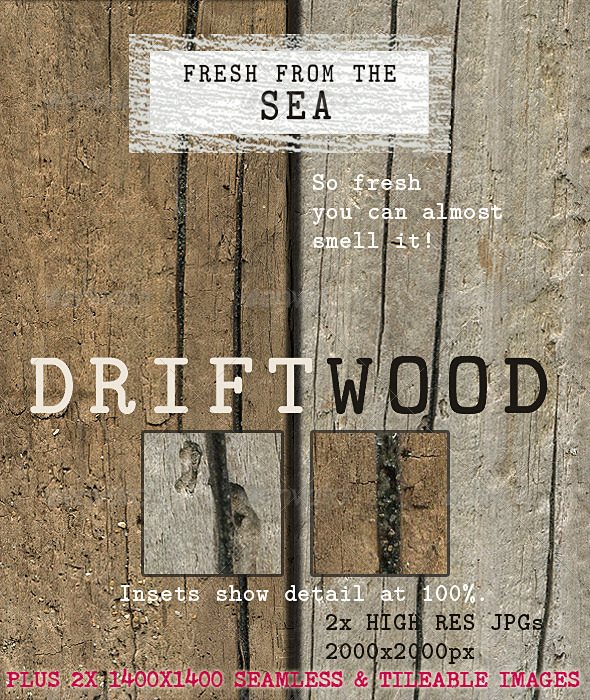 Perfect for a genuinely natural background when you want to convey a sense of fresh sea air or a beach house feel. One image shows the side that has been sun bleached to pale grey, the other image shows a darker yellowed texture. JPG files included.